Join the fun of the inaugural COSI Science Festival May 1st-4th! For the first three days of the COSI Science Festival, events will be held throughout central Ohio showcasing the amazing science being done in our community. These events include “Be A Scientist” where you can meet and interact with the awesome STEM professionals in our community. City-wide Star Parties are happening in the parks throughout Central Ohio! Check out these cool events here. And 104.9 the River is helping to bring cool science programs to schools and libraries all across the region! 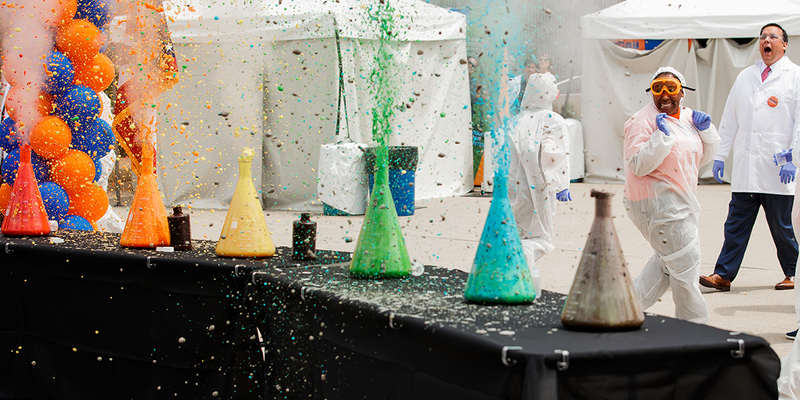 The 2019 COSI Science Festival culminates in an exciting, fun, and FREE celebration with the Big Science Celebration! All along the Peninsula surrounding COSI, including Washington Blvd., Genoa Park, Town St., and Dorrian Green Park, this FREE event is something you won’t want to miss –with dynamic experiments, incredible demonstrations, and 100+ engaging hands-on activities hosted by our community’s own science, technology, engineering and mathematics focused organizations.